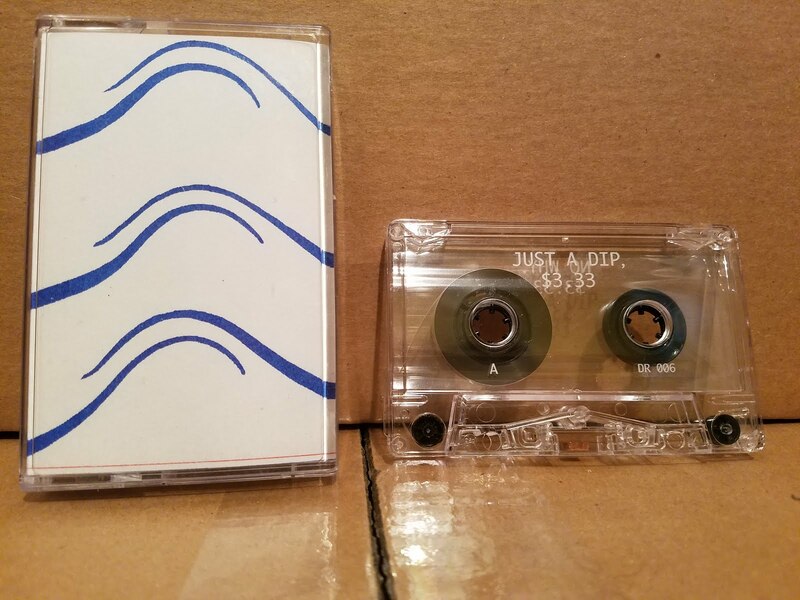 Cassette Gods: $3.33 "Just a Dip, No Why"
$3.33 "Just a Dip, No Why"
Infinities without end abound in the universe; in fact, nothing isn't one. Which is to say, everything is not one, or not "one". $3.33 has divided ten dollars by three, to come up with that maddeningly perfect infinity where the numbers never change, all threes, highlighting, perhaps, our physical connection to the infinite, our conjugal embrace of a world that seeps into us and flows out of us even in our basest and most basic system: money. I think they didn't get there with division, though. The insanity of impossibly dividing in a decimal system is overtaken through sheer force of "oh my god, this! and this! and this one too! And it NEVER ENDS!!!" when you consider just how many THINGS that cost how much money, and are added with state and local sales taxes can produce this one trinital amount. See this mind blowing print that $3.33 produced: this would totally be hanging in my office right now, but I didn't know about it till after it was SOLD OUT. (I expect more things.) Gum and candy and the state takes its cut: commerce in Marfa, TX. The amount in question. The print's the only hint to the "government" identity of this mysterious person, credited as $3.33 with production, composition, Wurlitzer, and cover design - by all of which is clearly meant, head genius in charge - on the 2016 release Just a Dip, No Why. Other musicians get named, their contributions a sound source for a document constructed by timbre, instruments carefully selected by sound: bass clarinet, drums, cello, and guitar. We dive right in, switch on in the middle of the heaviest part of the jam, just like Miles did withOn the Corner, the composition is infinite, and we just get to sample this definable part of it. $3.33 favors a bath texture, gently punctuated by pointilistic sounds, be they drums or groovy sample loops. Sometimes the bath is scary, sometimes it's warm and inviting. It oscillates erratically between these two but you never get all the way into scary world or comfort world. $3.33 permeated my personal world for the first time about a month ago, when I saw Just a Dip, No Why on this one radio station's chart that never steers me wrong: CKUT's Total Eclipse of the Chart. I had already resolved to get it when I found myself in Jamaica Plain, MA, a couple of weeks later, looking through the Cassette Gods to be reviewed stuff, and then of course the sky opened, angels of math inevitability sang, and there it was, its funky Asian pop samples and backwards Wurlitzer tugging themselves right into me, merging with my brain. I don't know how much more perfect this thing could really be. That famous "genre", from the recent times when the infinite subdivision of classes of music got to the absurdity point where you could just make up a genre and people would do it, but maybe the R E A L one from that time, the one that will be cared about maybe when S E A P U N K is So Totally Teens how Nagel is So Eighties, the F U L L T E X T one, I'm dancing around it because that's what $3.33 does too. You won't find any Greek busts here or Windows 95 graphics or library music in $3.33's body of work. The signifiers aren't there but the Thinking About Stuff totally is. Actually I'm thinking more about the other $3.33 stuff I dug into, that receipt print I mentioned before, the one album where the song titles are all naive-ish youtube comments and the videos are all sped up driving POVs, the manifestos about Soundcloud or BPM, the concern with "sample-based" music. Let's call it Condensorwave: those nebulous gases found a glass to adhere to, someone to articulate a graspable vision of infinity that uses some of these strategies on that person's own terms. Go to $3.33's website at http://threethirtythree.biz/, click on all the stuff: what a way to spend your time. Which is NOT infinite. So do this instead of whatever else you had planned. 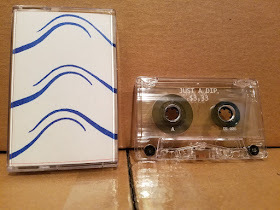 And get this tape. It's so freaking great.